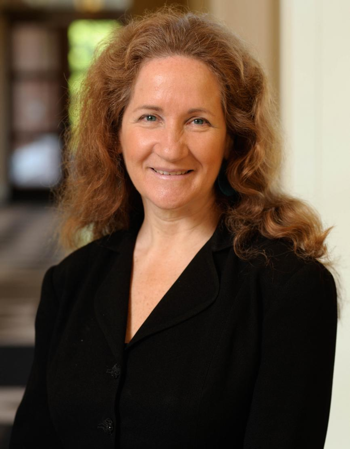 Katherine S. Newman is the senior vice president for academic affairs for the University of Massachusetts system. A noted sociologist and widely published expert on poverty and the working poor, Professor Newman previously was Provost and Senior Vice Chancellor for Academic Affairs at UMass Amherst. She came to the University of Massachusetts from the Johns Hopkins University where she was the James B. Knapp Dean of the Zanvyl Krieger School of Arts and Sciences. She previously served as the Malcolm Forbes Class of 1941 Professor of Sociology and Public Affairs and the Director of the Institute for International and Regional Studies at Princeton University. In 2015, she was honored by the American Sociological Association with their Public Understanding of Sociology Award. Katherine is the author of many books, on topics ranging from urban poverty to middle class economic insecurity to school violence. No Shame in My Game: The Working Poor in the Inner City was awarded the Sidney Hillman Book Prize and the Robert F. Kennedy Book Award when it was published in 2000. No Shame in My Game also was a finalist for the C. Wright Mills Award, as was Rampage: The Social Roots of School Shootings – her book on the mini-epidemic of mass murders on high school campuses in the 1990s, published by Basic Books. Katherine’s most recent book is Learning to Labor in the 21st Century, written with Hella Winston, and published by Metropolitan Books. After Freedom: The Rise of the Post-Apartheid Generation in Democratic South Africa written in collaboration with Ariane De Lannoy was published by Beacon Press in April 2014, on the 20th anniversary of the end of apartheid in South Africa. Katherine appears frequently on radio and television to speak on a wide range of subjects related to work and education. She has been a guest on Bill Moyers Journal, CBS Morning News, Nightline, and PBS News Hour as well as the CBC and the BBC. Her opinion articles have appeared in the New York Times, the Nation, and the Chronicle of Higher Education. And her work has been featured in the Washington Post, the Wall Street Journal, the Los Angeles Times, and the Philadelphia Enquirer, among others.